The Top 20 Coolest and Funniest Kitchen Gadgets Ever! Top 20 Funniest and Coolest Kitchen Gadgets for Sale! 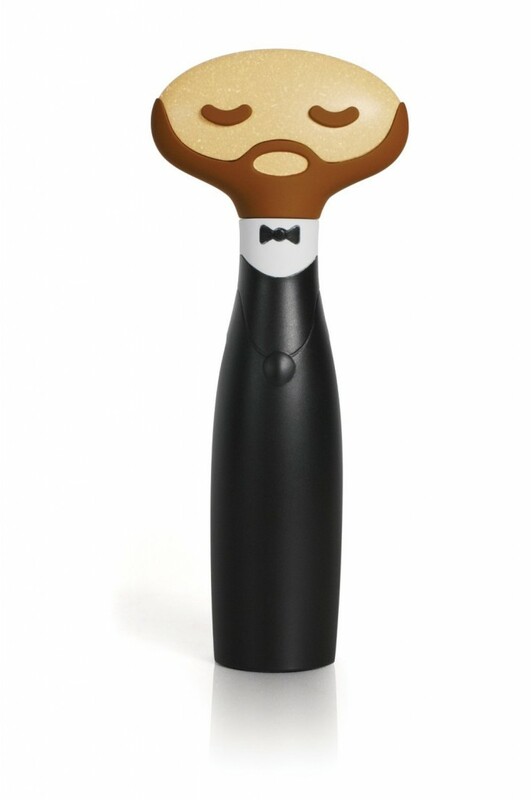 Cool, unique and funny kitchen gadgets make awesome funny presents for anyone! I found some of the coolest kitchen stuff ever! I thought they were so hilarious and unique that I decided to create this page today to show them off to you! 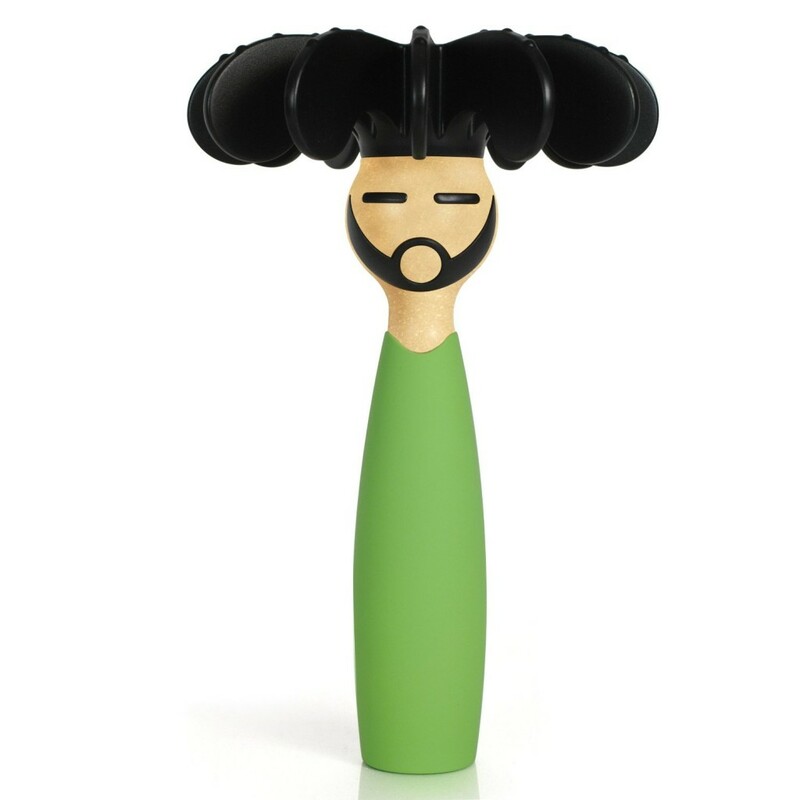 Have you ever seen a funnier and cooler knife sharpener before? 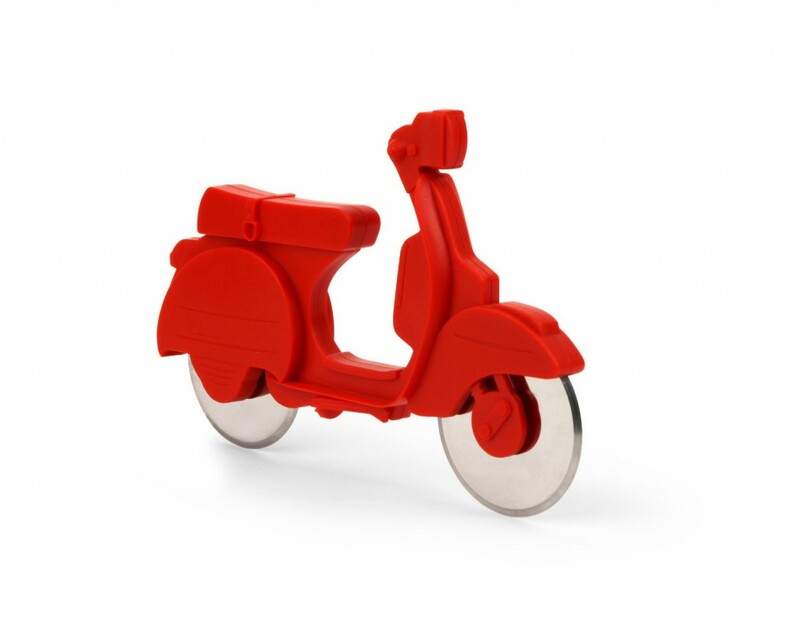 How awesome and very cool is this moped pizza cutter folks? Perfect gadget for a biker in the family huh? 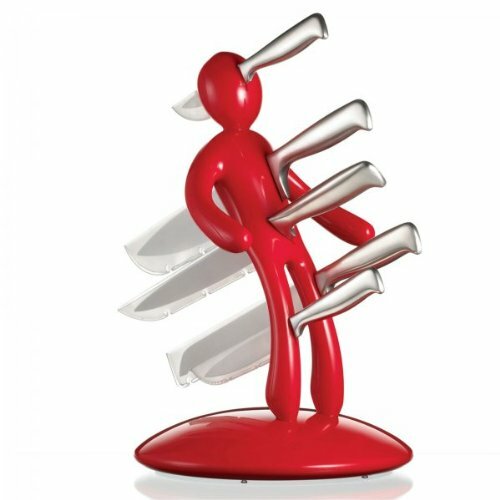 Then this is your knife set…. 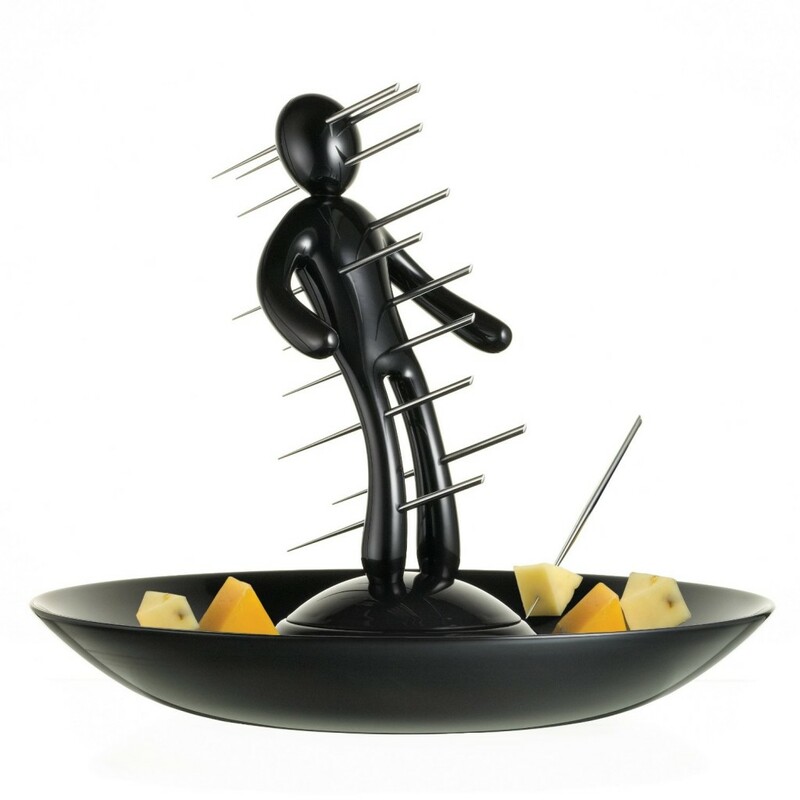 Another ultra-cool kitchen gadget is this ‘The Ex’ funny serving tray! This is one of the funniest toothpick holders out there! The voodoo doll toothpick holder! Another fun and very cool kitchen gadget is this orange monkey peeler! He can peel a potato like no other! The Most Unique Kitchen Gadgets! 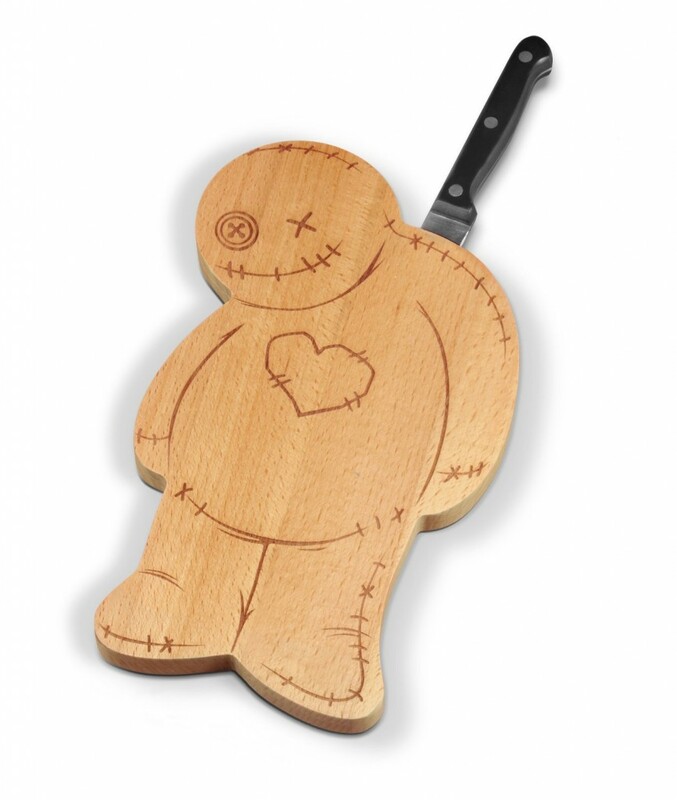 This is a solid wooden hilarious voodoo cutting board for sale! As you can see it also has a convenient place to hold your knife…. 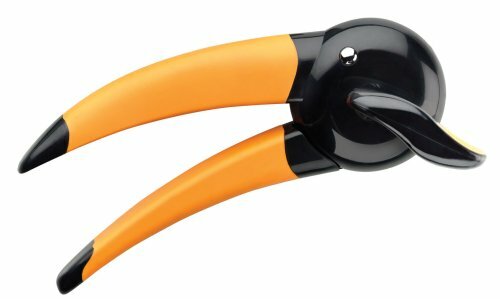 This is a very easy and fun to use orange and black toucan can opener! Always a fun kitchen gift idea for anyone! Funny Animal Shape Oven Mitts! Everyone needs a nice pair of oven mitts in the kitchen! How about a funny animal shaped oven mitt? 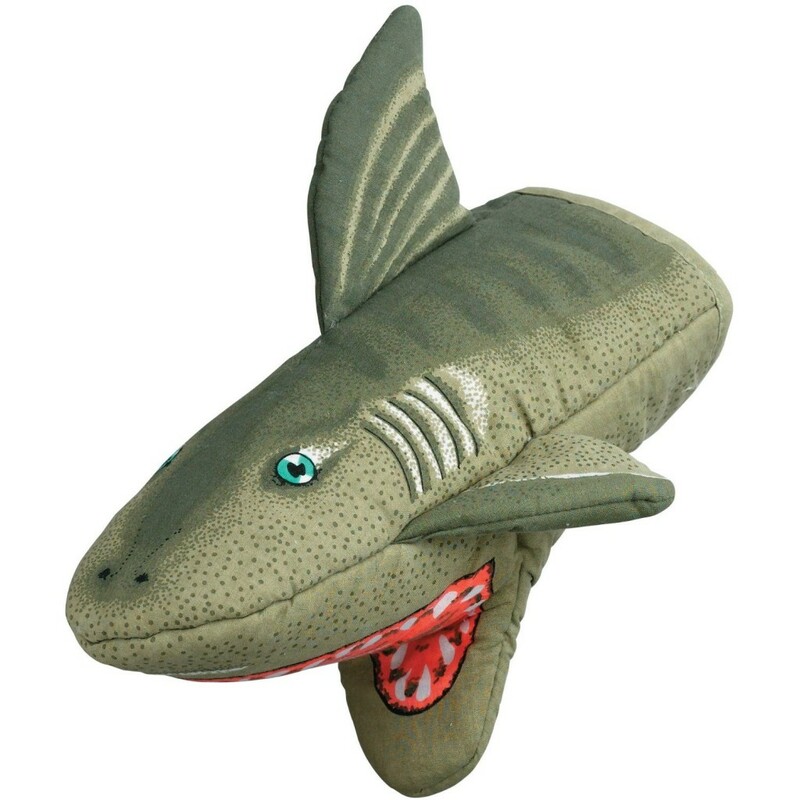 You can choose among several animals besides this hilarious shark one! 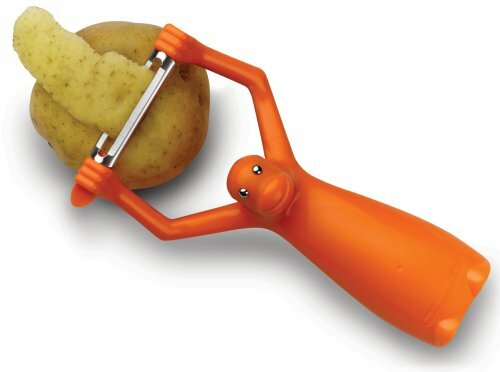 He is a hilarious potato masher! His wild ‘hair’ can mash potatoes like there is no tomorrow! How about having your very own sommelier open your wine every time? he is very professional and can open your wine bottles with his eyes closed! If you are looking for a fun and CUTE kitchen gadget to give someone, I think you are going to like this cute fashion doll dish brush set! She will handle your mess with style and grace! The Most Popular Hilarious Kitchen Gadgets for Sale! 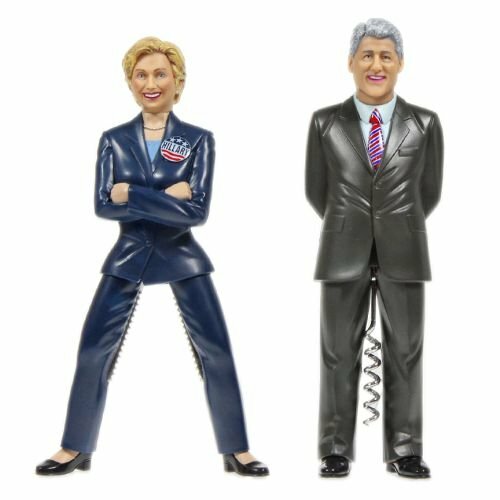 This Hillary nutcracker and Bill Clinton corkscrew opener combo is the most bought funny kitchen accessories around! Bill Clinton is an expert with his corkscrew and Hillary can crack nuts like no other! 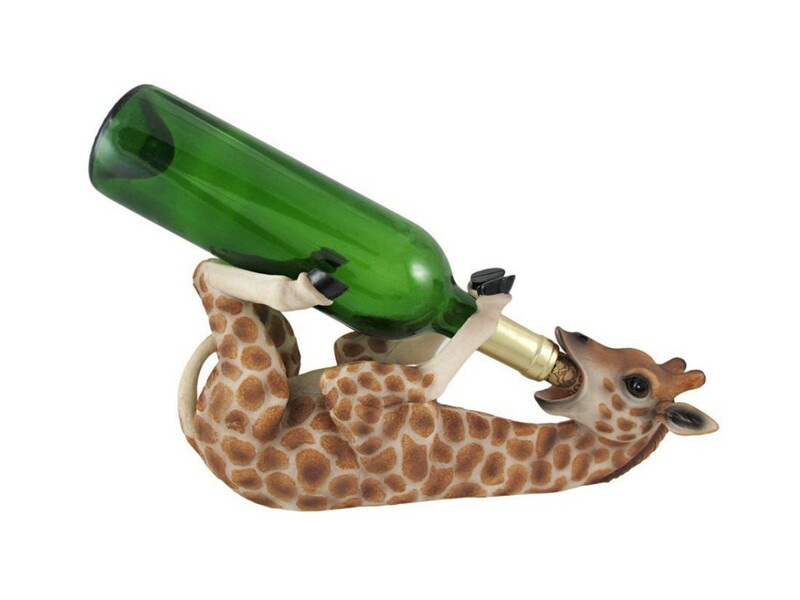 This hilarious drunken giraffe will definitely hold all your wine! Awesome funny gift idea for any wine lovers! 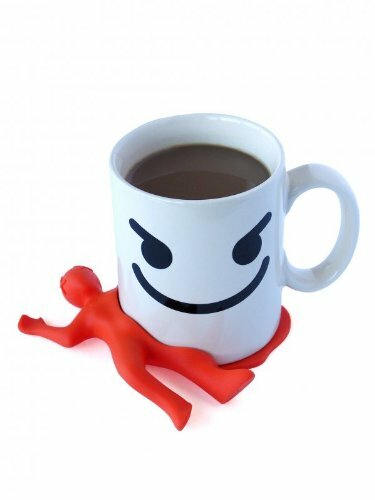 Another cool and hilarious kitchen gadget is this funny splat Stan silicone coaster! Get a few of them and create your own set! Your guests are going to have a blast when they see this! Just by looking at this hilarious nose shape pepper grinder I started sneezing! What a cool kitchen gadget! 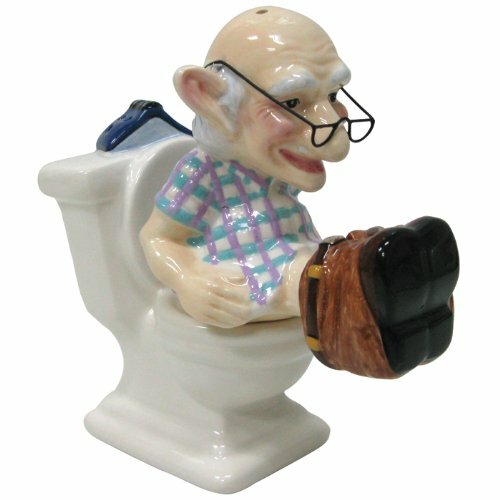 Hilarious Old Man on the Toilet Salt and Pepper Shaker Set! Funniest Kitchen Gadgets for Sale! This is one of the most hilarious salt and pepper shakers around! It is an old man using the toilet salt and pepper shaker set! Is that a funny kitchen gift idea for grandma and grandpa or what?? 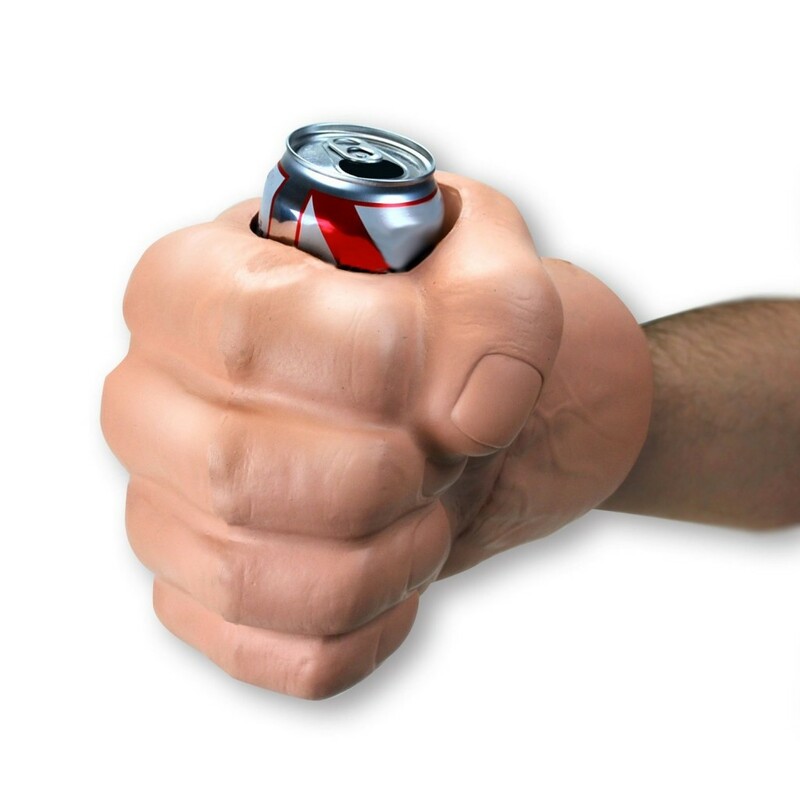 How funny and cool is this giant fist drink cooler folks? Great hilarious gift idea for guys! I could never forget to add the toilet mug here! It is a classic hilarious gift idea! 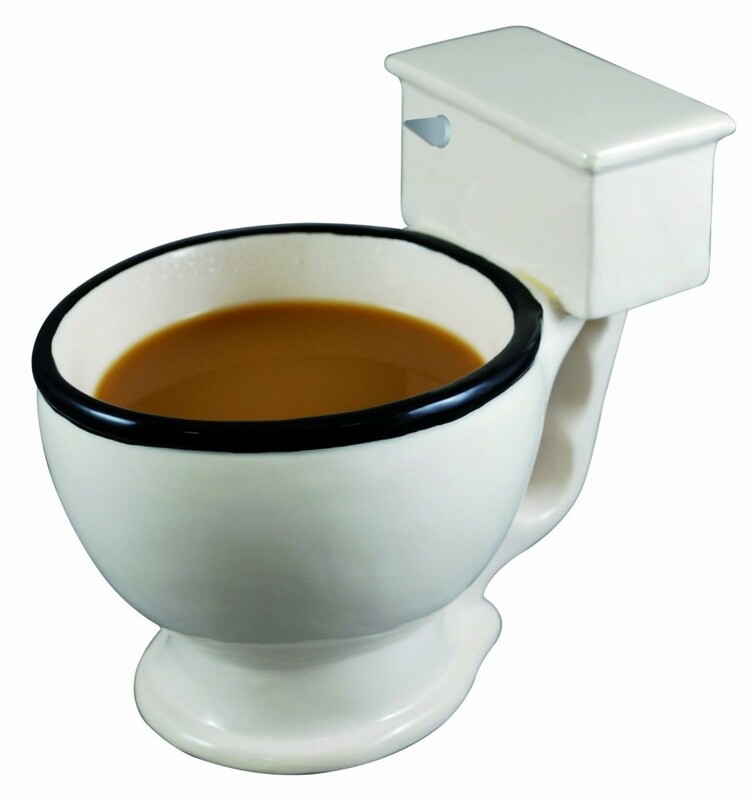 Who doesn’t want to drink their coffee out of a toilet? This woman in a polka dot orange bikini is the perfect funny apron for any cook with a sense of humor! *I hope you enjoyed my selections of funny kitchen gadgets!